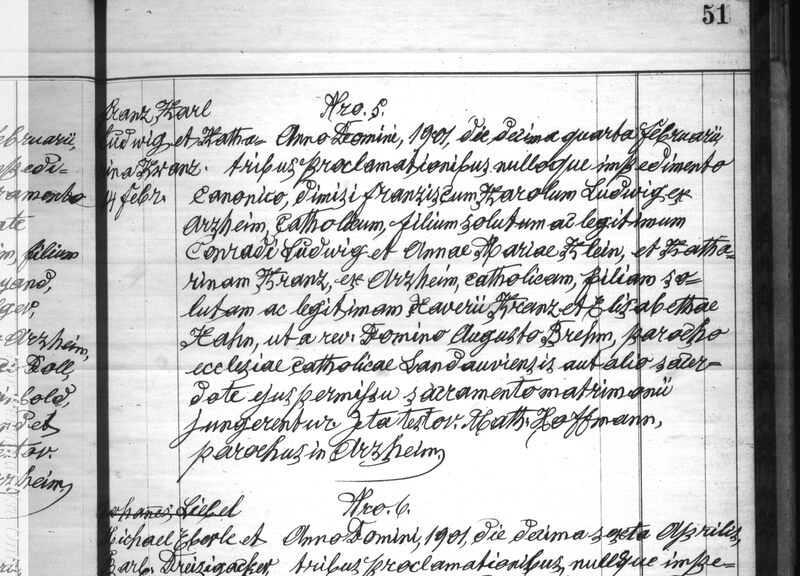 I haven’t posted in a while as I’ve been busy collecting and organizing records that I collected from Arzheim, Germany on my family. 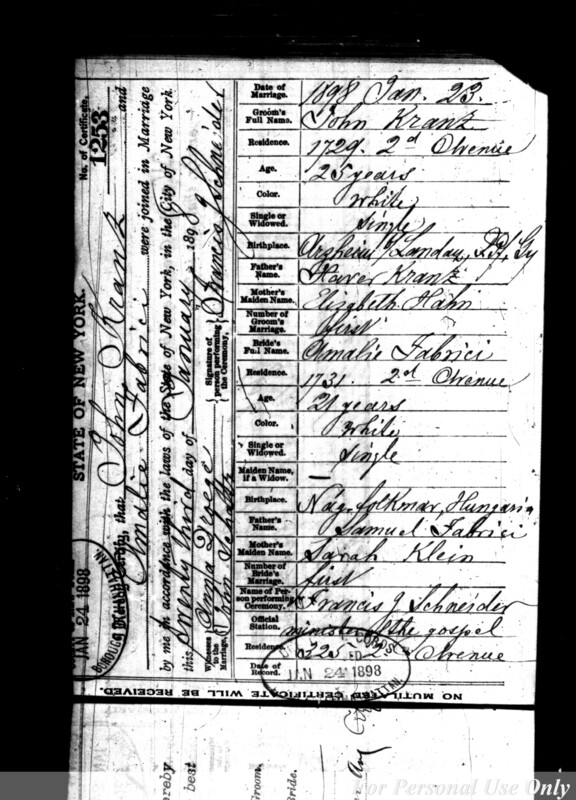 I ordered microfilms through my local Orlando Family History Center of records I had found on www.familysearch.org. 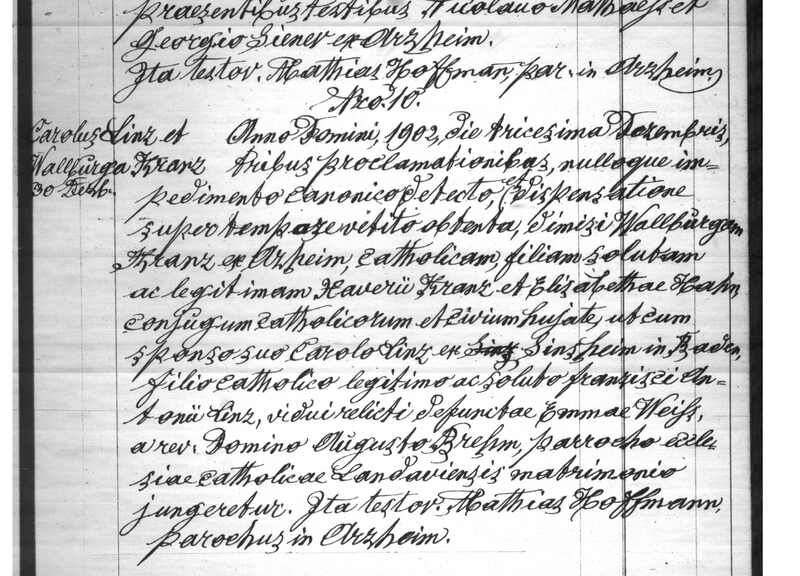 I was amazed at the vast amount of information I was able to collect. 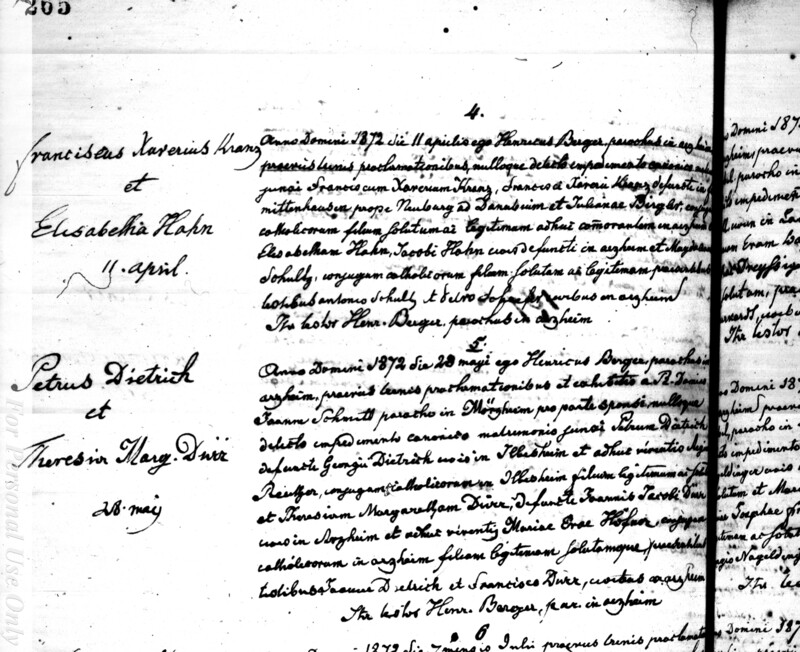 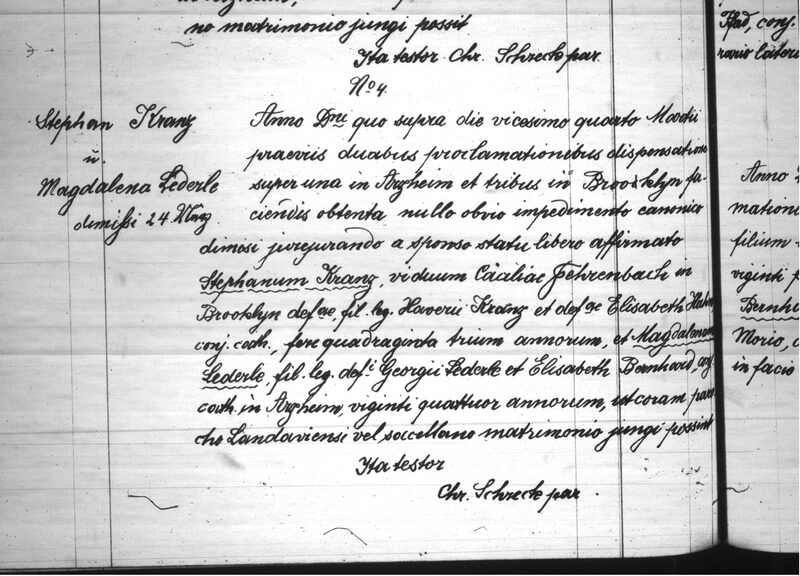 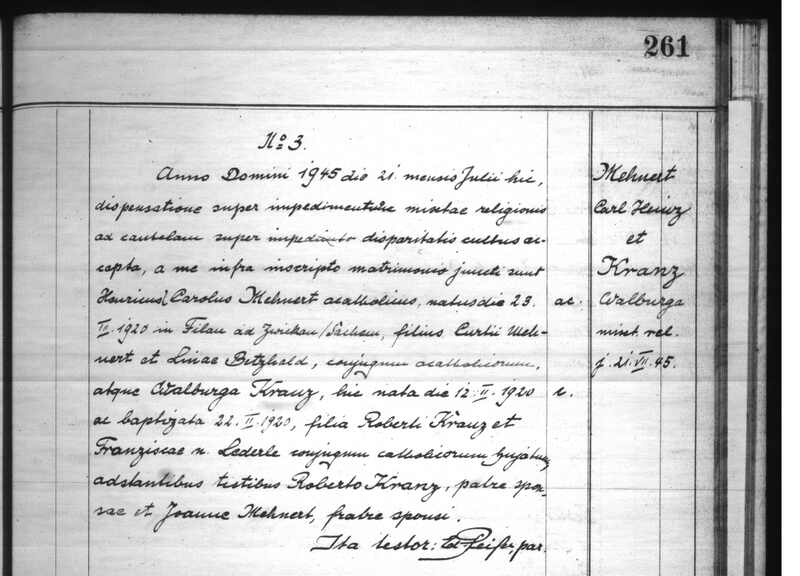 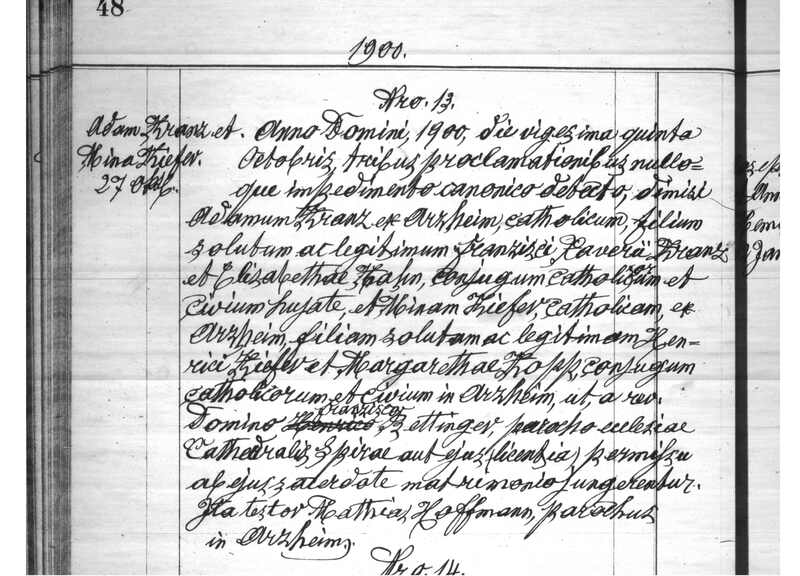 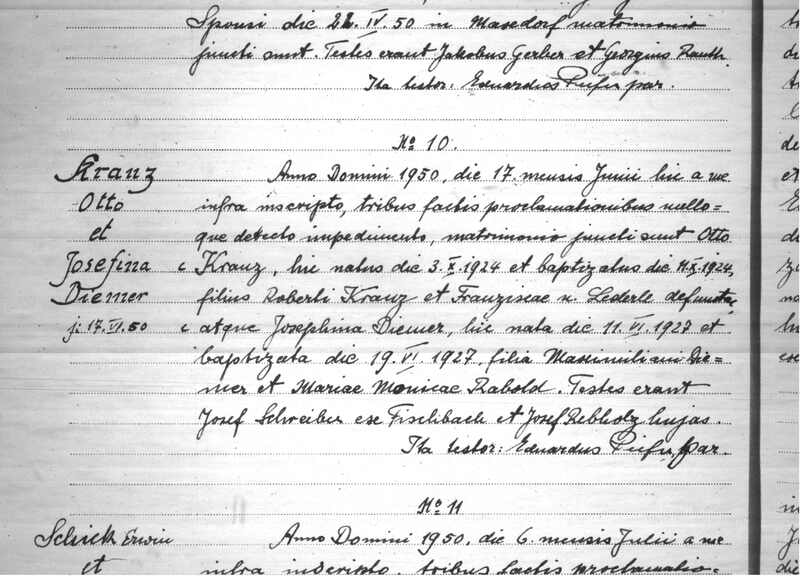 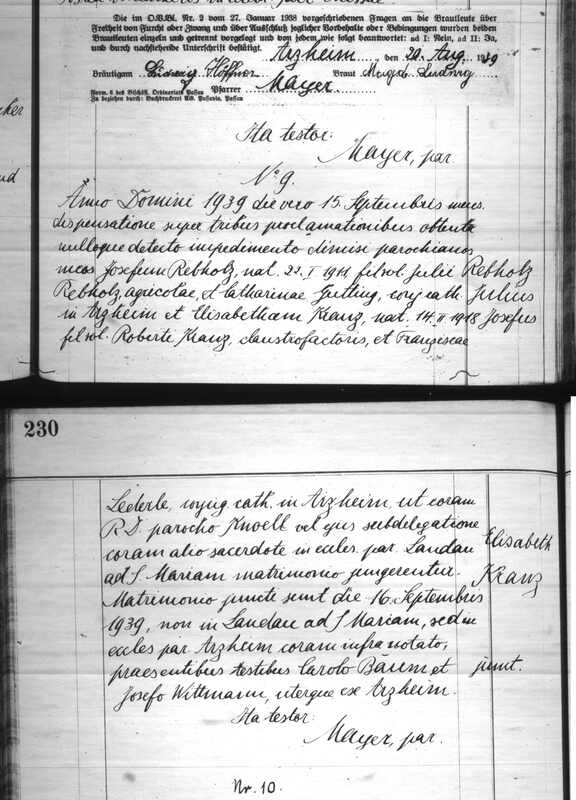 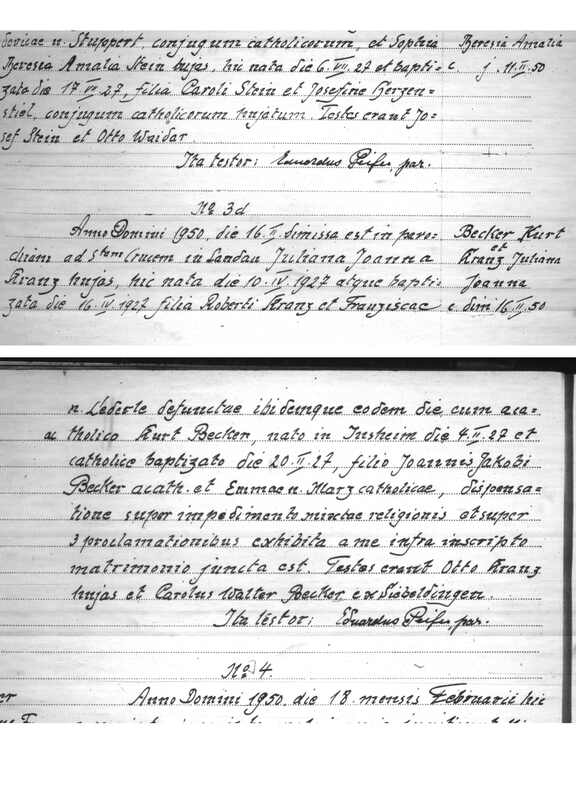 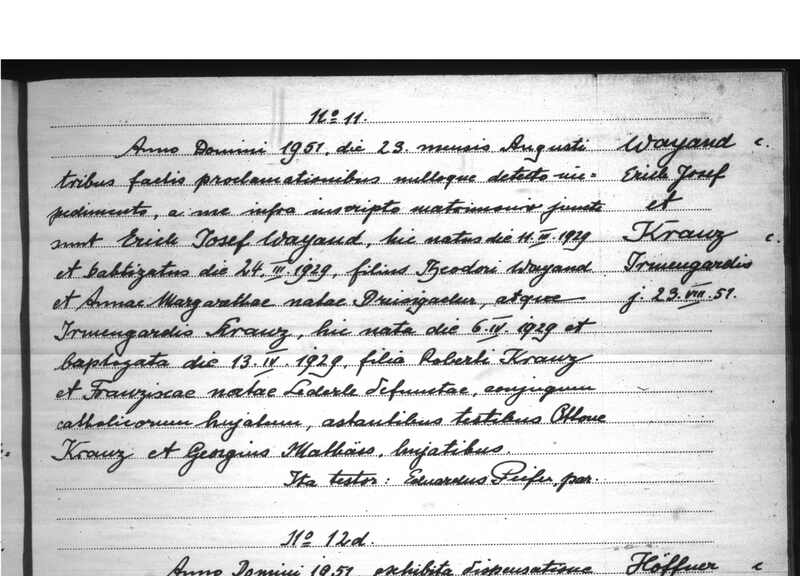 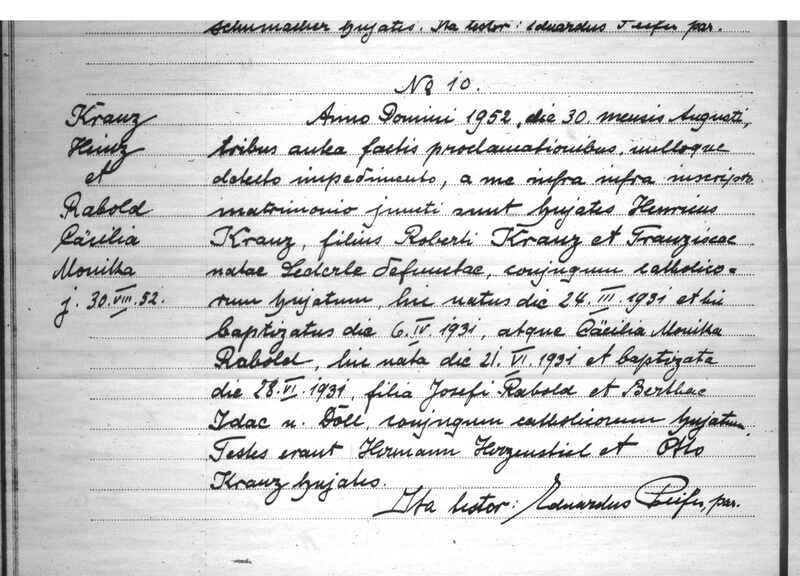 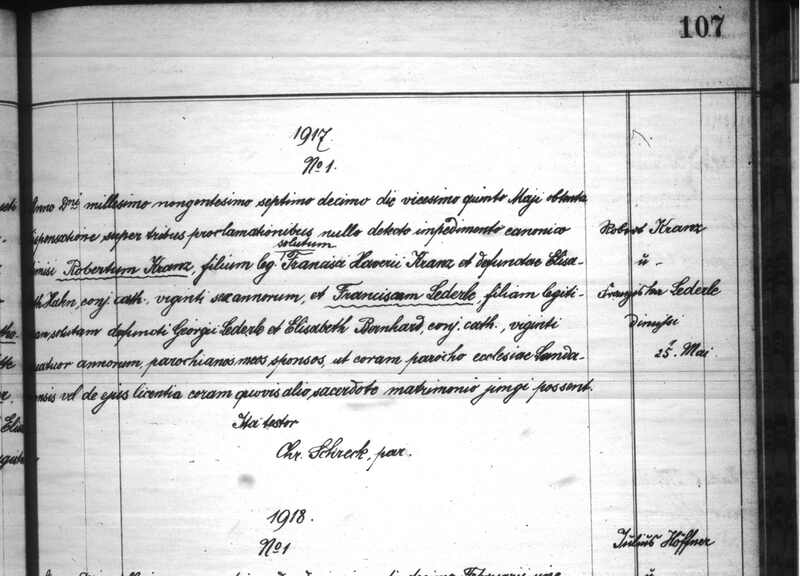 Here are some of the marriage records I found for Francisci Xavierii Kranz (also known as Haver Kranz) and his wife Elisabeth Hahn and their children.